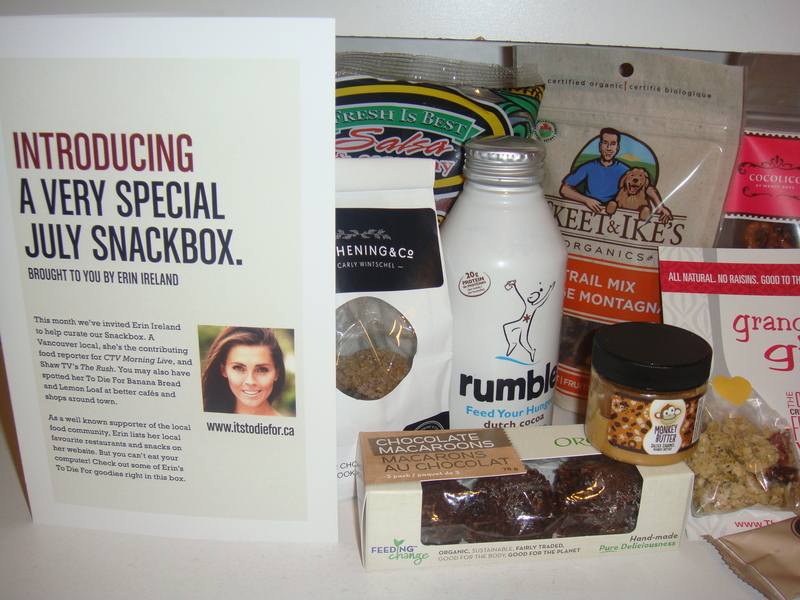 I was quite happy to find out that Erin Ireland curated this month’s snackbox! She is a Vancouverite who is a contributing food reporter for CTV Morning Live and Shaw TV’s The Rush. She is also the creator of the To Die For Banana Bread that can be found around town. 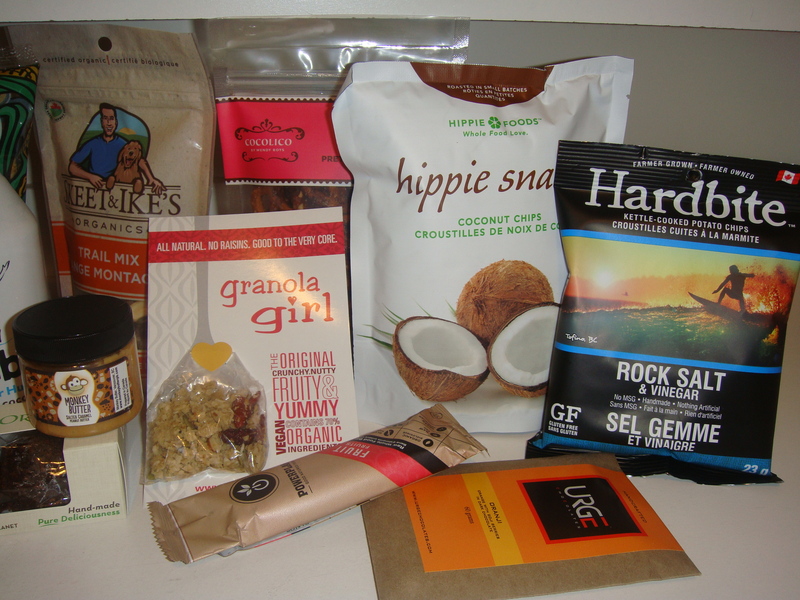 Her picks in this month’s box are pretty awesome! I am so glad that they included a full info card in this month’s box (last month’s only had descriptions for 3 products). Beside each product description also included how much the item retails for, where to buy it and websites to check out the companies. This is very useful if you really enjoyed a product and wanted to purchase a full size. The Kitchening cookies were the first snack to make it out of the box. Gingersnap/molasses cookies are my fav, so these were gobbled up in no time! They were absolutely delicious with the chunks of chocolate embedded inside. I have previously heard of the Monkey Butter & tried it before, so this is quite a treat to have! I have to try it on a banana–like the info card suggests. The chips, pretzel mix and trail mix would be a great snack to have in your purse/backback for days when you just need to much on something while waiting.. As for the chocolate bar, fruit bar and macaroons, these are also a good snack to keep with you in case you feel like indulging in something sweet. The little sample of granola is quite tasty! I had it in my cereal this morning–it added a nice touch of crunch! I am quite interested to try the Rumble energy drink; I have already put it in the fridge to try for later. Once again, I would definitely eat everything in this box. I like that there is a good variety of sweets/savoury snacks.